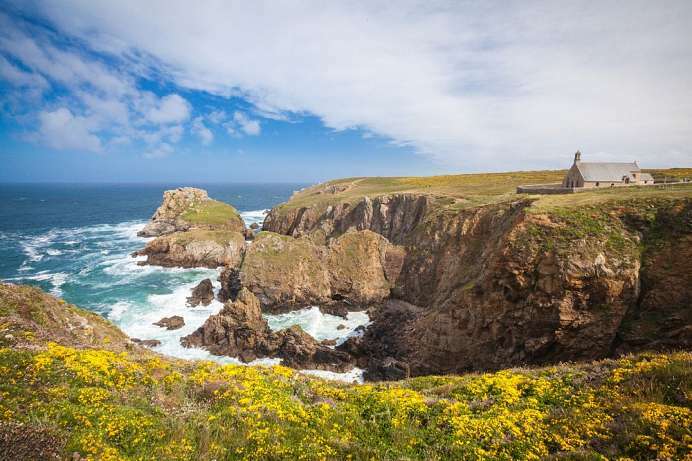 The historic duchy extends from the Pointe du Raz in the extreme northwest to Quimperlé in the southeast. The name “Cornouaille” is derived from Cornwall. In the 5th and 6th centuries, Christianized Celts fled from the pagan Anglo-Saxons from Cornwall across the Channel to Brittany. Under the first ruler, Dagan, they founded a kingdom which became a source of legends. Tristan and Isolde are said to have lived here. Her castle is said to have been in Plmarc'h. Like a floating fortress, the old town of Concarneau is built in the big harbor basin. On three sides, the Ville Close is surrounded by sea and massive walls. It is accessible only via a single bridge and a ferry connection. 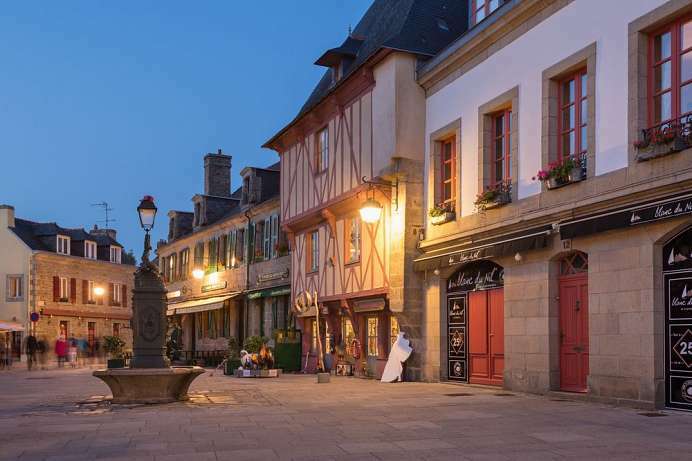 While tuna trawlers and screeching seagulls circle the city, you can stroll through narrow streets within the old town and admire medieval pitch noses and the granite houses of the bourgeoisie. There is a large farmers' market worth on Mondays and Fridays. Adjacent there is a market hall with all its delicacies. 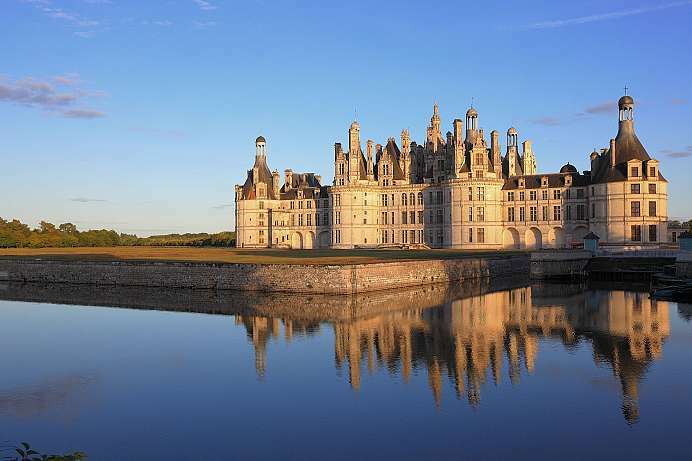 The Breton provincial town has about 9,000 inhabitants. 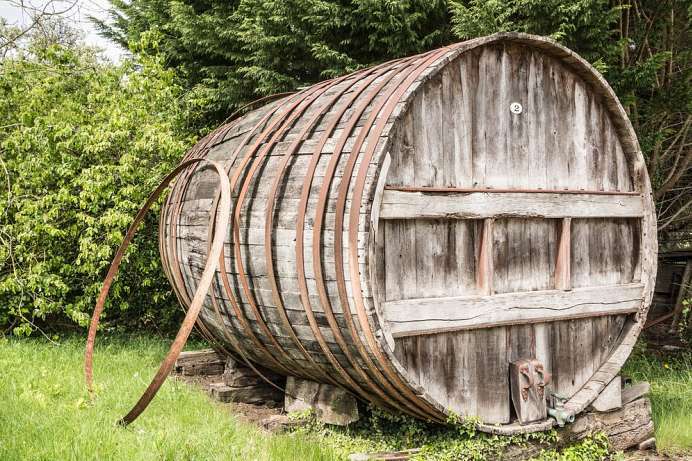 It is best known for its sparkling ciders, produced here since the 1950s and supposedly among the best in France. The apple tree is celebrated in the Fête des Pommiers, which takes place on the third of July. In addition, the city is proud of its beautiful Romanesque church. St-Pierre dates from the 12th century. Around Fouesnant there are some nice beaches, the longest being on the headland of Mousterlin. 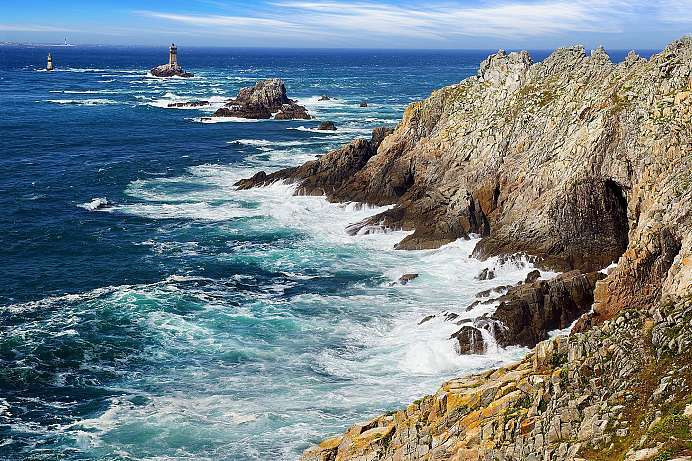 On the western tip of France is the Pointe du Raz, which is named after the Raz de Sein, the dangerous stretch of water between it and the island of Sein. The Pointe sits on a steep cliff 70 m above the stormy waves of the Atlantic Ocean. The southern side of the peninsula is dotted with picturesque fishing villages and resorts. The cliff formations near the fishing harbor of St. Guénolé are particularly rugged. Stretches of cliffs alternate with stretches of golden beaches. Ferries depart from Audierne to the pounding shores of Ile de Sein. The rocky cliffs on Cap Sizun in the far west of Brittany are a little less rugged than its counterpart, the Pointe du Raz. The cape is surrounded by heathland, a chapel and a sanctuary next to a source. It is separated from the Pointe du Raz by the Baie des Trépassés. Especially picturesque are the small offshore islands, which are populated by seabirds of all kinds. At the confluence (“kemper”) of Steir and Odet – about 15 kilometers north of its mouth in the Atlantic – there was a river port already in the 6th century. The legendary King Gradlon moved the headquarters of his empire to the town. From 1066 the dukes of the Cournaille ruled in Quimper. 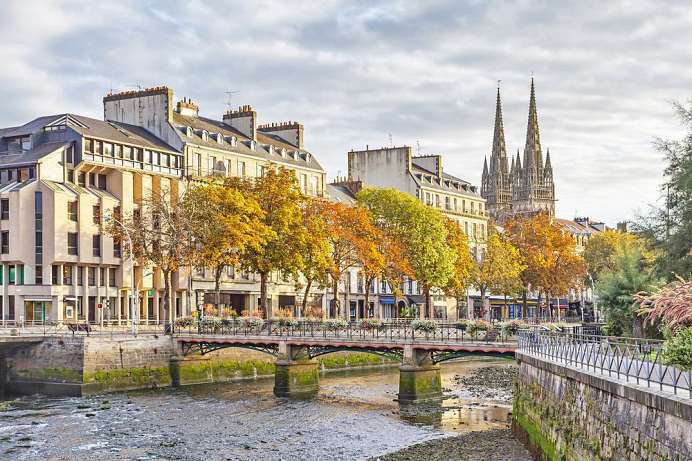 The splendid past of the city is revealed by the Gothic Cathédrale St-Corentin, which took three centuries to construct. Art historians are overwhelmed by its perfect beauty. In the shadow of the cathedral. stone-old half-timbered houses nestle along cobblestone streets.